How many cushions is too many on a bed? Home / Scatter cushions / Cushions Buying Guide / How many cushions is too many on a bed? Now this might seem like a rather bizarre question to ask but then again most of us have seen the result that too many cushions can give. It can get to the point when the bed becomes buried under a mountain of plushiness and just the simple act of getting into bed at night is a massive chore as you try to sort out where the bed begins and the cushions end. 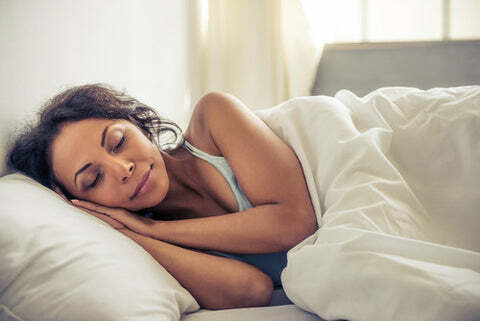 Remember that the more cushions you have on your bed the longer it will take to take them off each night and put them back on each morning when you make your bed up. So although your chosen cushion scheme might look nice it might be taking a large chunk out of your day just maintaining it. On the other hand a bed without cushions at all can look bare and uninviting. Look at your bed as a blank canvas and release your inner designer to make your special space as inviting as you can. 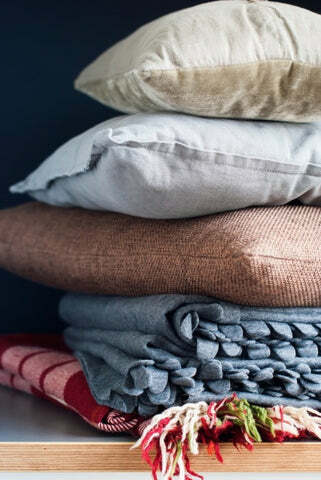 The answer obviously is to get it just right and that will vary from person to person, some will love to add colour and texture to their bedding with many and varied cushions whilst others will prefer a more minimal approach with just a couple of strategically placed cushions. Of course the one important factor not to forget is to make sure that your cushions compliment your chosen bedding colour scheme and that you don’t end up with a clash of colours and patterns that might grate on your eyes and in that way not lead you into dream land with a peaceful mind. It is not necessary to have all your cushions in the same colour and you can achieve a very pleasing arrangement with colours that compliment each other whilst the patterns are very different. The same can be said using different colours with similar patterns. Try all stripes or perhaps spots in different colours or stick to a single colour but introduce different patterns. Take into account the shape and size of your cushions and arrange them accordingly. As a general rule the larger cushions should be placed at the back and the smaller ones set against them in the front. Try to use good quality cushions that fill your cases as there is nothing worse than a saggy cushion that seems to rattle around inside its case. Think about the use of your cushions, do you sit up in bed perhaps to read or have a morning cup of tea, then your cushions should be in shapes that can be used to prop up your back comfortably. Feel free to use different shapes of cushion too, mix and match large squares with small rounds and oblong boudoir styles. It might also be a good idea to look around the room and tie in a chair or sofa with complimentary cushions, this also gives the added bonus that you won’t have to move them twice a day.